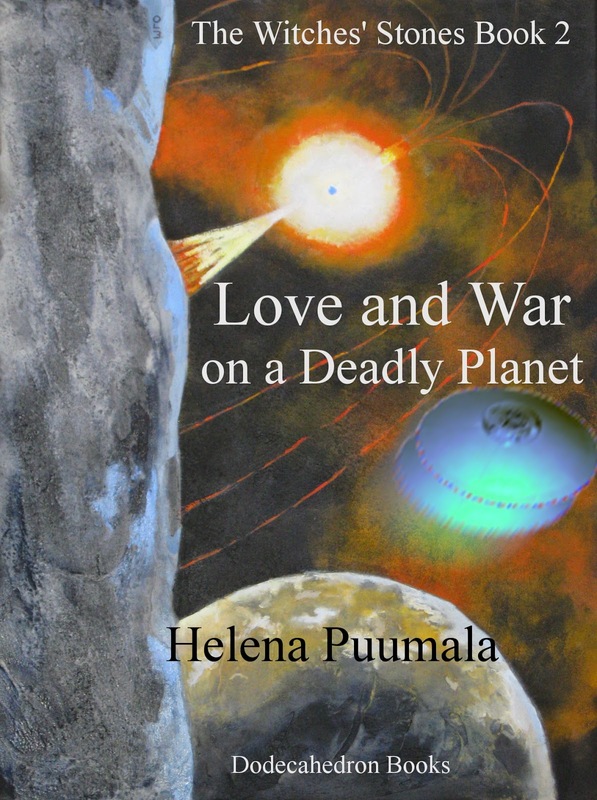 Helena Puumala has finished the second draft of Book 2 of her Science Fiction Romance series “The Witches' Stones”. Sarah Mackenzie and Coryn Leigh will be returning soon to their adventures and intrigues for the Terran Confederation against the shadowy galactic power known as The Organization. Book 2 also focuses on the romance side of the character's interactions, which were hinted at in the first book. For those who like a little science in their Science Fiction, the L2 point plays an important role in the story. We will probably re-launch Book 1, with a Kindle promotion and a new cover, maybe a new sub-title, before publishing Book 2. The series was interrupted for a while, as Helena worked on the Kati of Terra series. Here is a first cut at a possible cover idea – it is based on a painting done by Leona Olausen for us, of a pulsar which fits in well with some scenes in the series and also brings out the “space opera” aspect of the stories. But it will no doubt undergo many revisions. Oh, and Helena is also working on a short story romance, now that she has a lull in the novel writing.